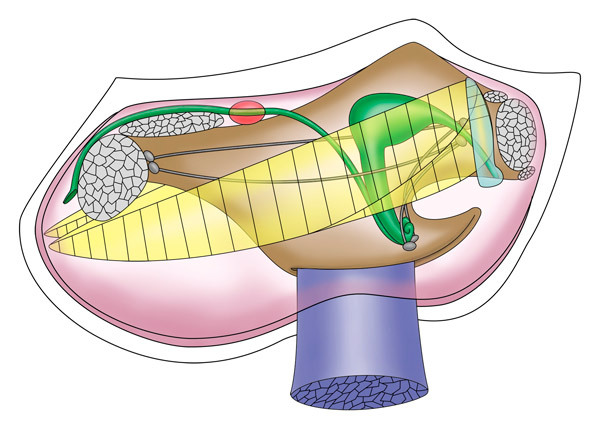 The comparative study of the structure of organisms with regard to homologous organs or parts.. 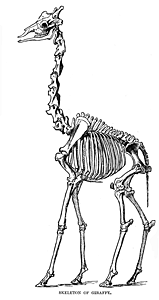 Comparative anatomical studies can provide extensive evidence for evolution and the relationships between species. Having the same structure and origin, although current function might differ. traits, that is, those that are similar among species because they were inherited from a common ancestor. For example, the arm of a human, the forelimb of a giraffe, and the wing of a bat are homologous. 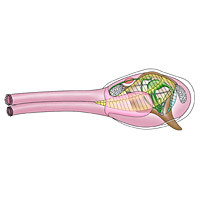 Even though the wing has a very different function, all three limbs have a very similar bone, muscle, and nerve structure. The limbs were adapted for different needs through natural selection from the limb of the common ancestor of all three of these mammals. Skeleton of a Flying Fox. Skeleton of a human male, from an engraving. 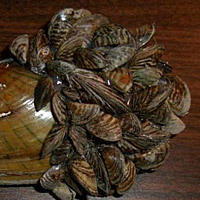 Evolutionary change in two or more unrelated organisms that results in the independent acquisition of similar traits. (discussed below). A tree diagram depicting patterns of shared characteristics and relationships of organisms, generated through phylogenetic analysis. 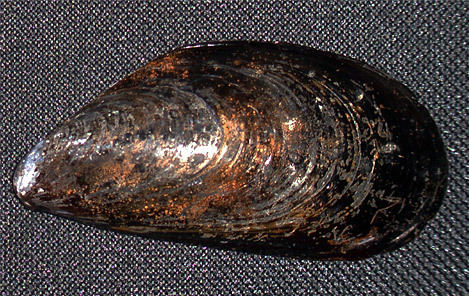 ), although both have mytiliform shells, acquired independently due to similar habitat. We can see clues to analogy (nonhomology) in anatomy — analogous structures are sometimes built of different parts. 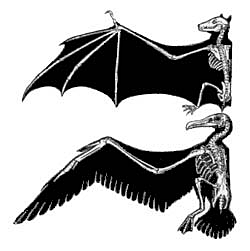 The wing of a bat and the wing of a bird are analogous — both allow the animal to fly — but are built of very different bones. This classic illustration, published by John Romanes in 1892, shows the wings of a bat (top) and a bird (bottom). 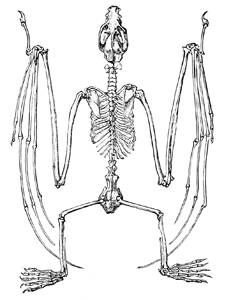 The bones in the limb of each are homologous, but the wing as a whole is not. 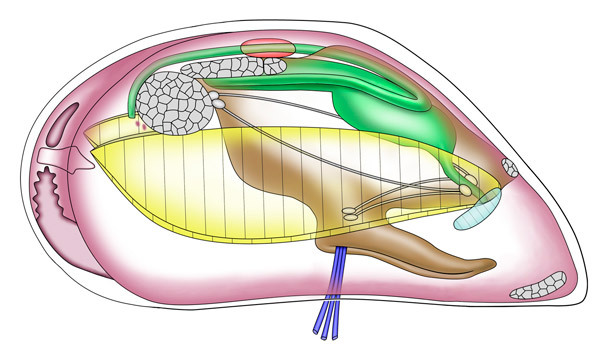 Notice that the most distal part of each wing is made up of different bones, suggesting a different evolutionary pathway. Looking closely at the seaslug Berthelinia reveals a head. 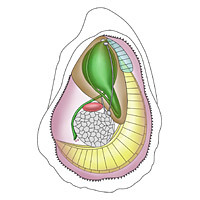 These and other features show that Berthelinia is a gastropod, not a bivalve, and that the two-valved shell a result of convergent evolution. 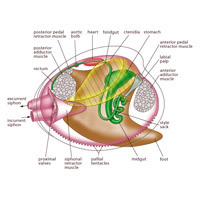 The molluscan bivalved shell is another good example — bivalves have a two-part shell, but so do certain gastropods (snails) of the seaslug family Juliidae. 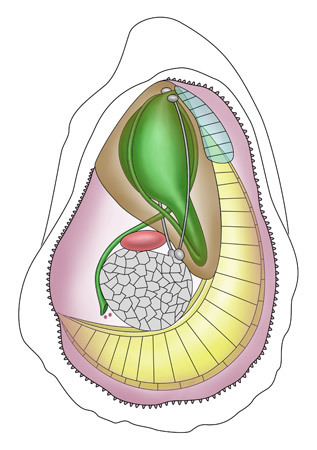 We know from developmental studies (and the larval shells that remain attached to adult molluscan shells) that the bivalve larva begins life already with a two-part shell, whereas the seaslug begins life with a single, spiral shell that later splits and grows two parts. If an unusual-looking oyster is discovered, researchers will most likely conduct an anatomical study to determine whether it is simply an unusual variant of a known species or if it should be considered a new species. If the anatomy of the new oyster is essentially identical to a known species, it could be considered a member of that species. 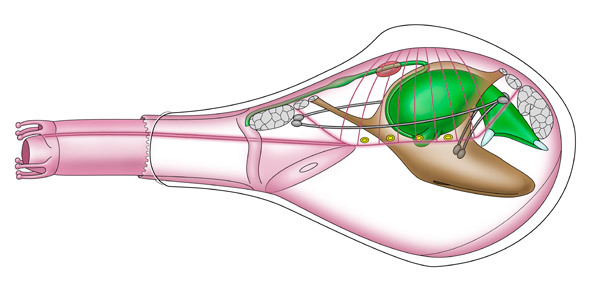 If the anatomy is structurally different, it could be considered a new species. 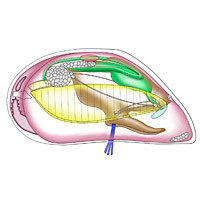 How different the anatomy must be for a variant to be considered a new species is different for different groups of organisms. Of course, other factors, such as habitat and molecular sequences, also contribute to the final decision. The importance of comparative anatomy in providing evidence for evolutionary history can be seen visually. 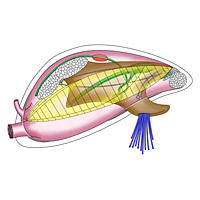 The images that follow provide a comparative anatomical study of bivalves. 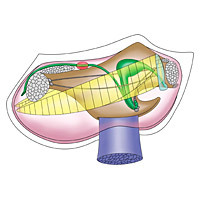 In these drawings, the anatomical systems are artificially color coded for easy comparison — digestive systems (bulbous stomach and long intestine) in green, gills in yellow, labial palps (that assist in sorting foot particles) in light blue, foot in brown, muscles and nervous systems in gray, heart in red, byssal threads (used to attach the bivalve to rocks) in dark blue, and siphons and mantle (the shell-producing tissue) in pink (see the Hard-shelled Clam for labels, click to enlarge). 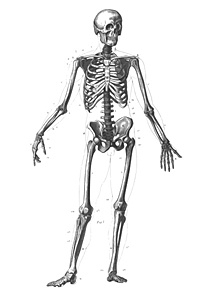 The anatomical similarities are strong evidence for common ancestry. 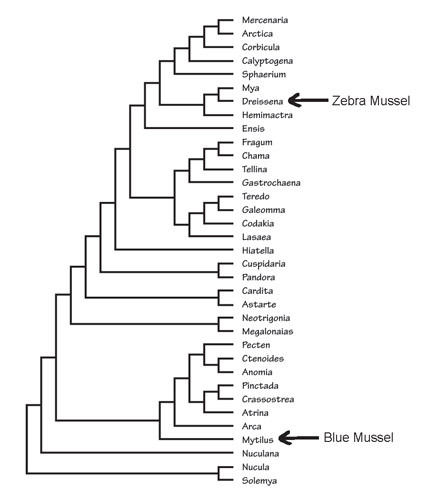 The more similar the anatomy, the more closely related the species, and (usually) the less time that they been evolving separately. The anatomical differences are strong evidence for natural selection and adaptation. The more different the anatomy, the less related the species and the more time they have been evolving separately. 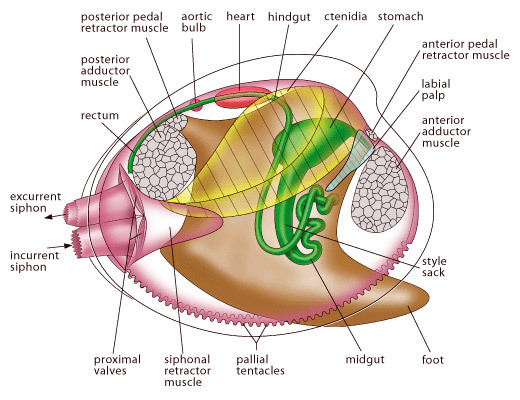 Most of these organs are present in all of the bivalve examples. 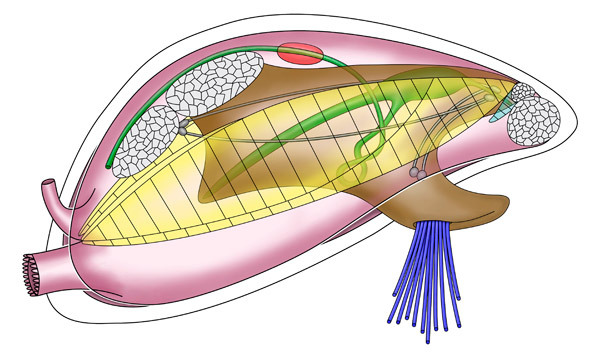 So the common ancestor of all bivalves likely had all of these organs. 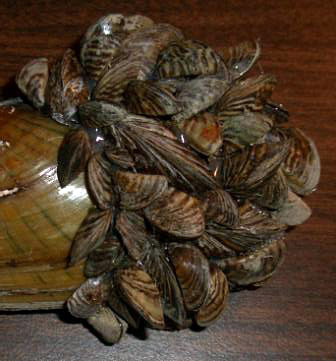 Some of the differences can tell us something about life modes and habitat. 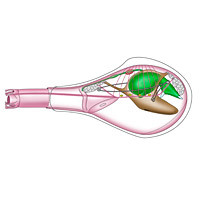 Some have siphons for living below the surface of the sand or mud. 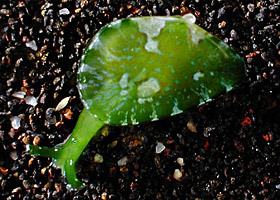 Others have byssal threads (secreted by the foot) for living above the sand, attached to a hard surface such as a rock. Tentacles can only function above the surface of the sand — see these at the tips of the siphons and completely around the entire Scallop (which lives on the surface of the sand). The similarities might be an example of more recent common ancestry: the Oyster and Scallop are members of the subclass Pteriomorphia. They have a single large muscle in the center of the shell instead of one smaller one at each end, plus very large gills, and a very small or completely absent foot; these are examples of similarities due to common ancestry. Evolutionary change in two or more unrelated organisms that results in the independent acquisition of similar traits. 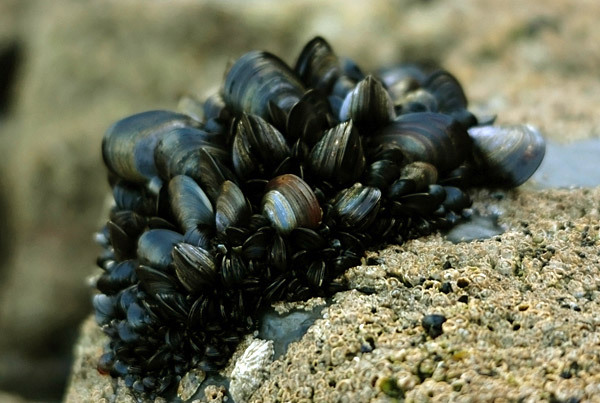 : Blue Mussel and Zebra Mussel are both “mussel shaped” and have byssal threads, but their digestive systems are very different, and the Zebra Mussel has siphons (it does not burrow, but uses the siphons to reach water while packed in very dense colonies). 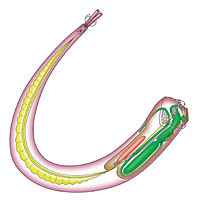 The very long body, small shell, and extra “caecum” in the digestive tract of the Shipworm — it drills into wood, living protected in a burrow, eating wood particles (assisted by cellulose-digesting bacteria in the caecum), so does not need a large protective shell. The tiny gill “windows” of the Dipper Clam — this species is a carnivore, using its long siphon to capture small shrimps, pull them in to the funnel-like mouth, and crunch them in the muscular stomach. It does not use large gills to filter food particles. 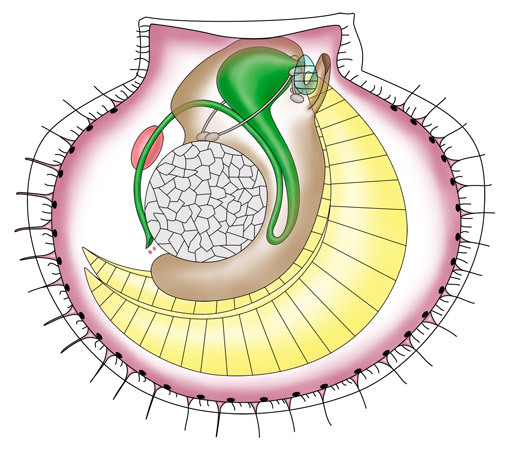 The mantle tentacles, each with an eyespot at its base, of the Scallop — scallops live on the surface of the sea floor, and clap their shells together to swim using a form of jet propulsion. 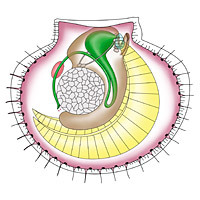 The tentacles and eyespots allow the Scallop to sense its surroundings, most especially potential predators from which it can escape by swimming rapidly away.